Why Do Pregnant Women Experience Bloating? A pregnant woman commonly experiences bloating; oftentimes women experience it in the last trimester of their pregnancy. The average body produces gas and passes it between 14 to 23 times a days. However, it may be even more often if a woman is pregnant. Frequent flatulence can happen any time of the day and make one feel uncomfortable and even embarrassed. Why do pregnant women experience bloating? Bloating is an uncomfortable, distended feeling in the abdomen that leads to a full and tight sensation. A high-level of progesterone occurs in your body when you are pregnant. This maintains your uterus as a safe place for the embryo. During this course of action, the progesterone also has an effect in the gastrointestinal tract by relaxing its muscles, resulting in decreased movement of the bowel, which can lead to a bloating sensation. In addition, your pregnancy progress will make the uterus compete for space with the gastrointestinal tract which can make bloating worse. You may also have bloating due to health problems that are not related to pregnancy. For instance: constipation, heartburn, irritable bowel syndrome, dairy intolerance, overgrowth of bacteria in your bowel, and medications side effects. Yes, laxatives! It helps. During pregnancy, it will aid to soften the stool and make it easier to move, which will lead to a less bloated feeling. Remember that it is designed only to help; do not become dependent on it. So please be wise, don’t use it too often. 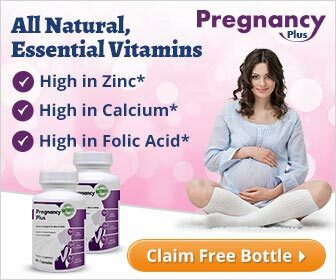 Otherwise, it may be harmful for the baby since it will eventually interfere with the vitamin absorption of your body. Please be careful though, there are some laxatives that are not safe for the baby. Again, please contact your physician before you use it. You should consume eight full glasses of water every day which helps in the smooth digestion of food, and helps prevent constipation. The large volume of water taken every day will help the stool moving through your digestive tract and leave your body more efficiently. Meanwhile, carbonated beverages produce more gas and make you feel even more bloated than before. Charcoal tablets may help to decrease gas odor. Be sure to take the tablet after you eat or if you start to feel abdominal discomfort. You may reduce air swallowed by avoiding smoking. Wear loose clothing that soothes your belly and lessen the pressure. Elevate your legs when you sit or lie down after meals to help the digestion process and decrease uterus pressure on the intestines. Several natural remedies can help you to reduce the bloating feeling, such as oregano, peppermint, basil, chamomile, fennel, cinnamon and garlic. But you have to use it with caution, because using the herbs in first trimester has been linked to complications and birth defects for the baby. Anti-gas medications. There are various medications that can lessen your bloating and are safe for pregnant women such as simethicone. Fiber is food that helps to decrease the bloating sensation; it will absorb water in your digestive tract so the food can flow through smoothly. Some examples of food that contain high fibers are whole-wheat bread, carrots, apples, oatmeal, whole-grain bagels and pears. Avoid food that will aggravate the bloating, for example: onions, beans, and cabbage, because they contain sugar that should be broken down by bacteria in the intestines. Refined sugars are also known to produce gas as well. Consider switching from sweetened fruit juices to something fresh and natural like fresh fruits. Moreover, fried foods and dairy products can reduce your digestive movements causing flatulence. Always remember to eat small portions, because it can help you to decrease the bloating feeling by not overloading the digestive tract. Remember to avoid foods that tend to cause more gas. Always exercise, because it will help you to release the gas by stimulating your digestive movements. Make yourself a food journal; it will you to keep track of the foods you eat and the amount of drinks you have. By keeping a journal you will know what food may have caused flatulence, and you can avoid it next time. When To Ask Your Doctor About Bloating? Consider asking your doctor about your bloating problem if you feel overly uncomfortable with it. Sometimes it can be a normal temporary bloating; otherwise it may occur more often than it should. You need to see your physician when it becomes persistent, so they can examine you for other serious problems you may have. Sometimes blood in stool, severe constipation or diarrhea, and contraction may accompany bloating feeling. If this happens to you, don’t hesitate to see your doctor. If you experience bloating, it can make you feel uncomfortable, but knowing the sources of your problem can help you to relieve the symptoms, and also prevent it from getting worse. Otherwise, if the symptoms keep occurring, you need to see your doctor and have them check for any other issues that may be causing your bloating.